I truly loved this book. There was just enough mystery--not the suspenseful type--to pull me in immediately from the first chapters. 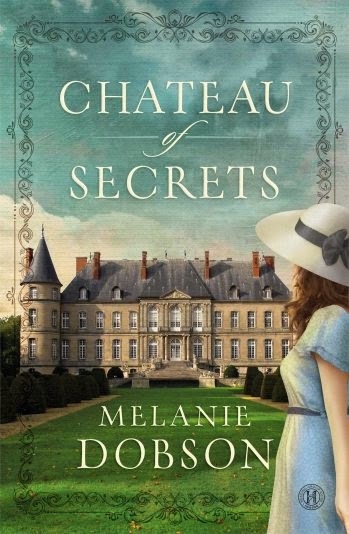 The two stories start at opposite ends and work toward each other in a well-paced story line that slowly unveils what happened in this Chateau during the War. Both Chloe and Gisele are strong women who refuse to give up despite what circumstances they may encounter. While at first the chapter changes (from third person with Gisele's chapters to a first person with Chloe's chapters) jarred me, the story kept me tugged in tight and soon I easily slipped into the point-of-view changes. As for romance, it was more of a backdrop to this story and yet still present enough for this romantic heart. The mystery of each character, some you see in present day and also in their past, was the heart of this story, and Melanie revealed a little more of their lives with each new chapter. I enjoyed this pace which left me invested rather than frustrated with the story. If Chateau of Secrets is on your TBR pile, nudge it up. If it's not, you can purchase it here. 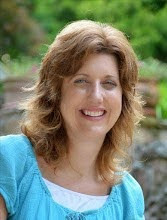 And if you want to learn more about Melanie and her books, head on over to her website. The link is below. Have a great weekend! I love hearing other people's live stories! :) And yes, that cover is beautiful! It was great to see while reading about the chateau.